St. Patrick’s has a long history of providing parishioners with music to enhance their prayer and worship. The goal of our music ministry has always been to help all present to capture the true spirit and meaning of each liturgy. Our choir is a regular presence at our 10:30 AM Sunday Mass. 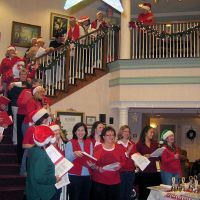 Choir members also bring their joyful presence to venues outside our parish such as Sunrise Assisted Living and the Smithtown Christmas Tree Lighting. Many parishioners take the sound of St. Patrick’s home with them by purchasing choir CDs. The choir performs music selections ranging from classical to more contemporary pieces. 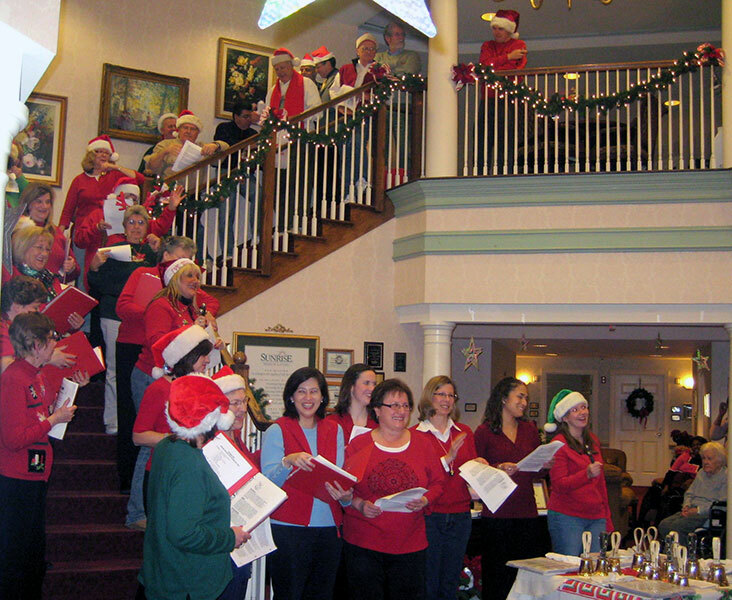 A bell choir was added several years ago to add to the choir’s “joyful noise” during Christmas and Easter. Members come from all walks of life and their age range spans several decades. While the choir works diligently to provide beautiful music, members also find great fellowship and a sense of community. Rehearsals include stories, laughter and homemade treats. Rehearsals are held on Thursday nights at 8:00 PM. The choir always welcomes new members. No experience is necessary and reading music is not a prerequisite – only a desire serve the Lord through song, with enthusiasm and dedication. 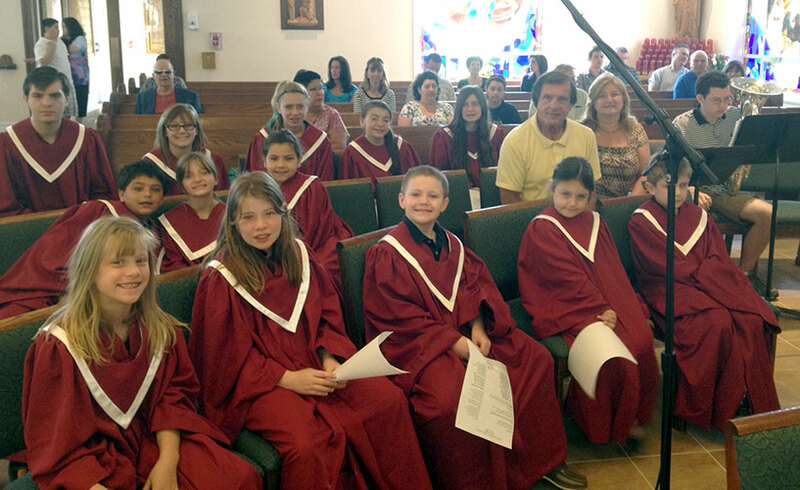 Younger voices are heard at our 9:00 AM Sunday Mass where our Children’s Choir and Folk Group perform. 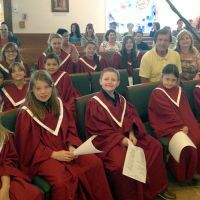 Children’s Choir is for children in grades 1 to 5 and Folk Group for young people in grades 6 to 12. Several of our younger choral members enhance musical presentations by playing instruments. Folk Group and Children’s Choir give our young people the opportunity to share their faith through song, to cultivate an appreciation music, and to enjoy each others company. Children's Choir rehearses on Wednesday evenings from 6:15 to 7:00 PM in Keegan Hall in St. Patrick School and Folk Group follows from 7:15 to 8:30 PM in the church. Our Adult Choir, Children’s Choir and Folk Group are perhaps the most visible members of our music ministry. But the job of St. Patrick’s Music Ministry goes much further. Music is also provided for Saturday evening Masses and the 12 noon and 5:00 PM Mass on Sunday, as well as all funerals, weddings, holy days, and school Masses. All of this falls under the direction of Music Director Eleanor Gould. Eleanor is assisted by a talented group of cantors. 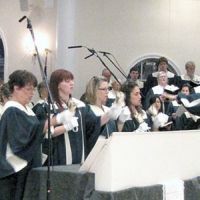 All participants in our Music Ministry seek to serve God’s people with gladness, enhancing our liturgy, lifting our minds, hearts and voices to God in joy...TOGETHER. For more information on Adult Choir, call Denise at 631-875-0248. For more information on Children’s Choir or Folk Group, call the Youth Office at 360-0185.